Giselle was born in 2002 and was just a kitten when her mother was killed so that she could be taken for a pet. An improper diet at a young age led Giselle to develop metabolic bone disease, which can cause bones to be porous, brittle and easily fractured. 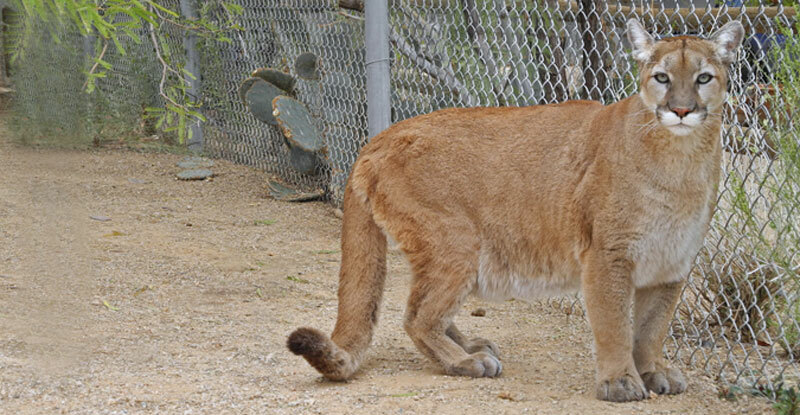 When Giselle was discovered, she was confiscated by the Arizona Game and Fish Department and eventually found her permanent home at Southwest Wildlife’s sanctuary. A beautiful mountain lion, Giselle is also a social cat and enjoys coming out during tours to cat-talk with tour guides and visitors. 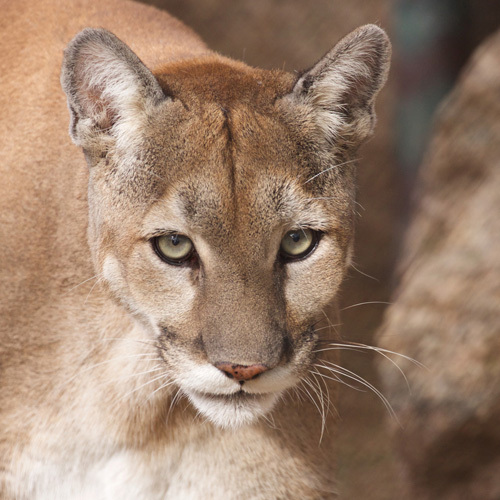 She has lived with Ash, a younger male mountain lion for years. Recently, we introduced Giselle and Ash to Pecos and Kino, two older male mountain lions who have lived for years in the neighboring enclosure. All four lions are getting along well and are enjoying having twice the space to hang out in and explore.